The 2018-19 Idaho World Languages Teacher of the Year is Cyndi Cook, German teacher at Mountain Home High School. 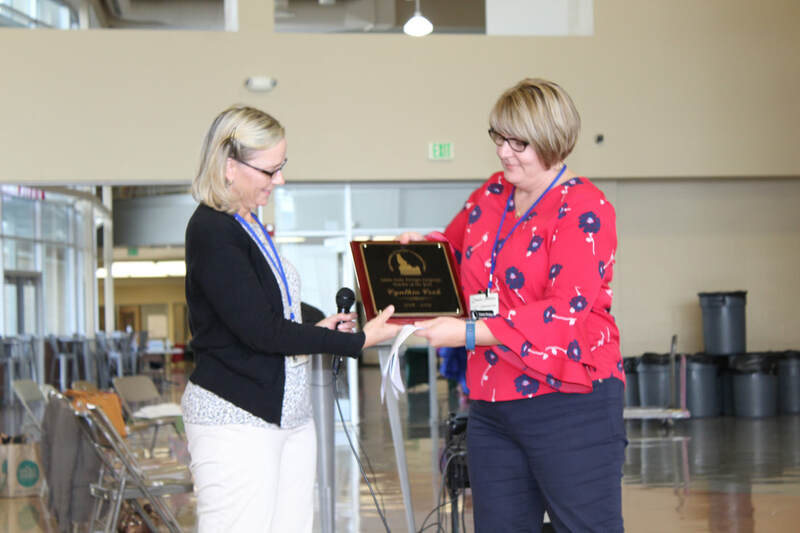 The Idaho Association of Teachers of Language and Culture (IATLC) recognized Mrs. Cook’s outstanding contributions to World Language teaching. As the association’s Teacher of the Year, she will serve as an advocate for World Language education in Idaho. She joined IATLC in the first year of teaching back in the late 80's, and has gained valuable insight and support from all the teachers she has gotten to know in the many years she has taught in Idaho and been active in IATLC. Cook states that "IATLC played a very important role in my development as a teacher early on, and it is a very valuable organization for FL teachers in Idaho." According to fellow German educator Cassie Shelton, “Cyndi is innovative in her teaching style and she is always thinking outside the box. Nothing is too messy, elaborate or time-consuming if it helps her students learn language.” Mrs. Cook has taught for both Mountain Home High (1987-1998 and 2009-Present) and Boise State University offering Concurrent Credit courses to high school students. Additionally, Cook has coordinated the GAPP program (German American Partnership Program) for Mountain Home High School since 2013. In her “spare” time, Mrs. Cook has transcribed the memoirs of a World War II pilot whose missions took him over a good portion of Germany, and works on an additional transcription and translation project for a woman born in Prague who can only recall her experiences in German. During the fall she volunteers her time with the high school swim team. She's been married to her very supportive husband David for over 30 years and has three grown daughters who also speak German! Current board members may not be nominated. Nominees must be active members of IATLC for at least three years. ​If you would like to nominate a colleague, please complete the form below. A list of eligible members can be found here. Previous IATLC Teacher of the Year recipients are listed here. Mobile users, fill out the form here.